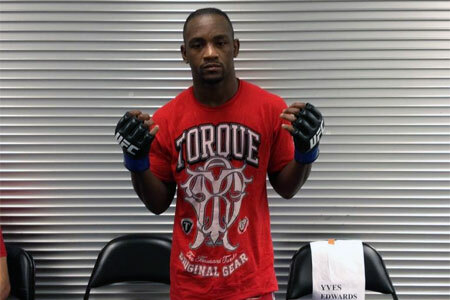 Sunday, veteran Yves Edwards (pictured) unceremoniously announced his retirement from mixed martial arts via Facebook. “I’ve thought about how to say this for a week now, but there’s no better way than to just do it,” Edwards wrote. “So here goes; 1st I’d like to say thank you to all the people that I’ve met through and because of fighting, friends, training partners, coaches, fight fans, doctors and even some promoters/matchmakers. A lot of you guys have always shown me nothing but love and I really appreciate that. The 38-year-old owns an extensive 42-22-1 (1 NC) professional record over his 17-year career. Edwards has lost four straight fights, not including a no contest sandwiched between his current skid. The man known as “Thugjitsu Master” was most recently submitted by Akbarh Arreola last month at UFC Fight Night 57.